When we think of wine grapes, we often envision sprawling European vineyards, where the delectable fruit has been grown and harvested for seemingly as long as the wheel has been in use. Less considered are some of the fine wineries that are nestled away on the other side of the Atlantic, in places like Wisconsin and Missouri. That’s right, contrary to impressions from the media, California’s Napa Valley doesn’t have a monopoly on the U.S. wine industry. However, the climate in Napa Valley is more suitable than the Midwestern climate for growing grapes that are pressed and fermented to create one of our favorite social drinks. Here’s the problem: In the middle U.S., a high level of rainfall early in the growing season for wine grapes precipitates a condition called “shatter”, which happens when grape vines aren’t pollinated. The result is grapes that fail to mature and eventually fall from the vine. But that isn’t all. The torrential rainfall in the early warm season also encourages the development of powdery mildew and other diseases that are as deadly to grape fruition as a forest fire is to trees. Furthermore, excessive rain in the late growing season, when wine grapes enter a phase known as “veraison”, which causes them to change color and ripen, revives the threat of disease and can cause grapes to contain more water than sugar. If you use those grapes to make wine, you might end up drinking a concoction that tasted more like a watered down wine cooler than the silky bodied bouquet of goodness that we’ve come to associate with our favorite reds and whites. Your old Aunt Ida might like the drink because it’s easy on her digestion, but wine connoisseurs would turn up their noses. What Can be Done to Salvage the Grapes? There are a few ways to circumnavigate the problems Midwestern downpours cause in wine grapes. One of the conventional methods is using fungicides that are labeled and approved for wine grapes, applying the products at regular intervals. Another method is using a refractometer to monitor Brix readings, but this is done to monitor the threat of rainfall and does nothing to prevent it, though it can help vineyards that have short growing seasons. The best solution, however, is in response to those short growing seasons. Expert wine grape growers in the Midwest have developed grapes whose maturation and hardiness are a good fit with the Midwestern climate in the warm season. The tradeoff is that the grapes are often grown and harvested in a shorter period of time than the grapes we envision weighing down vines in Tuscany. From a business standpoint, the end result is “specialty wines” that taste wonderfully different than traditional fermentations and are highly sought after. Concerning return on investment (ROI) for wineries, in the long run, developing wine grapes that thrive in the Midwest can be more cost effective than using specialized fungicides — and it’s more predictable from a production standpoint than relying on refractometers and Brix readings. Nonetheless, it comes with its own challenge: quickly bottling and labeling short run wines to move them to market while they offer the perfect body and bouquet. Bottling usually isn’t the major obstacle. If there’s one thing wineries are efficient at, it’s packaging their product. However, wineries are rarely label specialists, and the quality of a wine label is a major determinant of customer appeal. Based on our 30 years of experience in beverage labeling, we believe the best solution for short run wine labeling is short run digital labels, which can be produced with exceptional speed, clarity, precision, and economy. Of course, simply printing short run wine labels doesn’t make them magically appear on your winery’s bottles, but we can assist you with this task, too. In addition to helping you select the perfect label material, label size, and label adhesive for your bottles, and printing your label design with flawless accuracy, we can also introduce you to experienced label appliers and design consultants, if you require these capabilities from a third party. Producing wine in the Midwest is a process that requires great expertise, and so is the process of producing wine labels that are perfect for your product in every respect. We leave the winemaking to you — it’s what you do best. 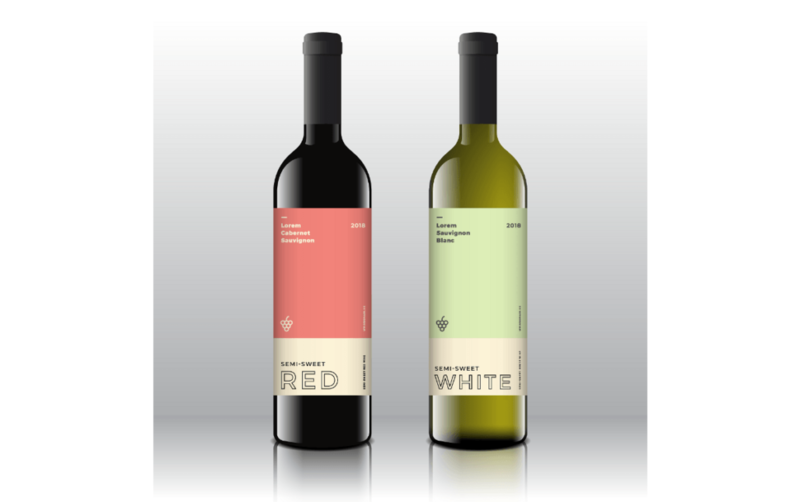 What we do best is create dynamic short run wine labels that help you sell what you produce. That’s why we invite you to contact us today at (262) 790-2740, or use the contact page on our website.